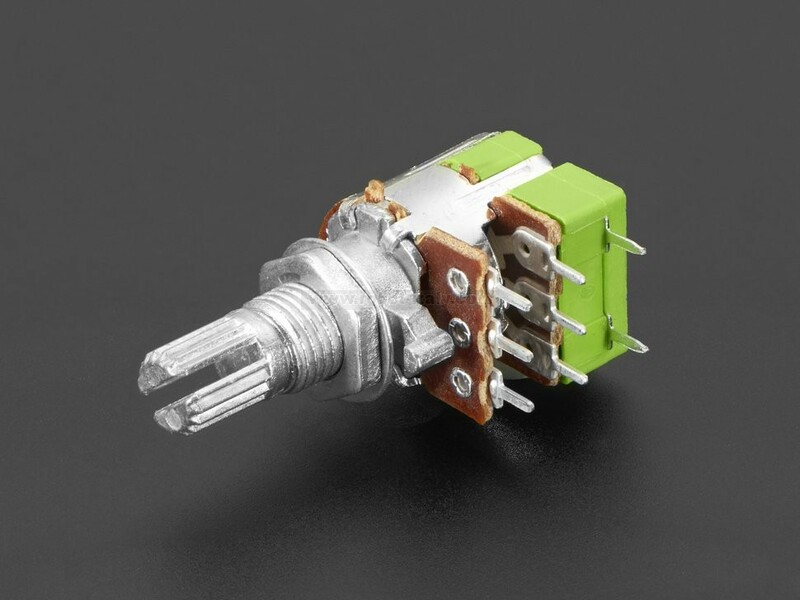 This Panel Mount 10K Dual Linear Potentiometer w/ On-Off Switch is a two-in-one, you get a dual-ganged potentiometer and an on-off switch. 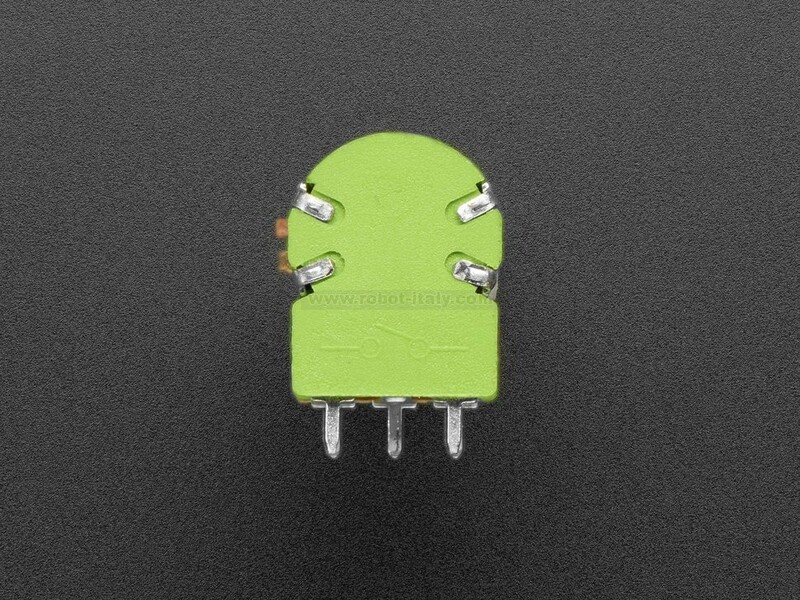 This Panel Mount 10K Dual Linear Potentiometer w/ On-Off Switch is a two-in-one, you get a dual-ganged potentiometer and an on-off switch. 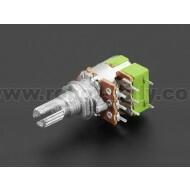 For the potentiometer-half, you've got a dual standard linear-taper 10Kohm potentiometer, with a grippy shaft. It's smooth and easy to turn, but not so loose that it will shift on its own. It also comes equipped with an on/off switch at the beginning of the shaft's rotation. 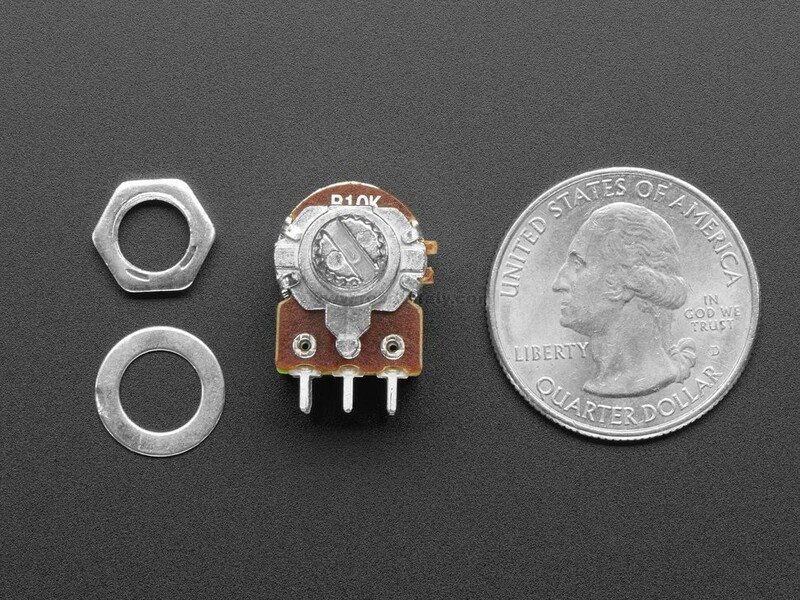 Once you're done prototyping, you can drill a hole into your project box and mount the potentiometer using the included washer and hex nut. Product Dimensions: 32.0mm x 20.0mm x 14.0mm / 1.3" x 0.8" x 0.6"